Every holiday needs a wreath, and Halloween is no exception. It actually might need a wreath more than any other holiday, because the holiday centers around people knocking on your door. Don't you agree that that is sound reasoning? So here are som fun Halloween wreaths to inspire you. 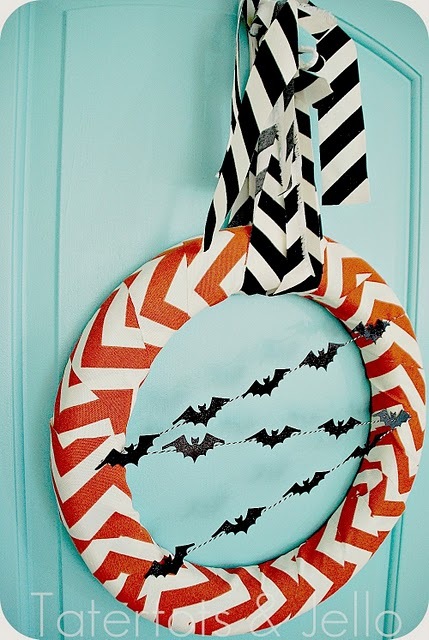 Carina Gardner made the fun paper bat wreath aboce with some great Halloween scrapbook paper. There are a lot of fun choices at Michaels and Hobby Lobby right now, so even if you don't have a scrapbook store you won't have a hard time finding some great black and orange patterns to use. 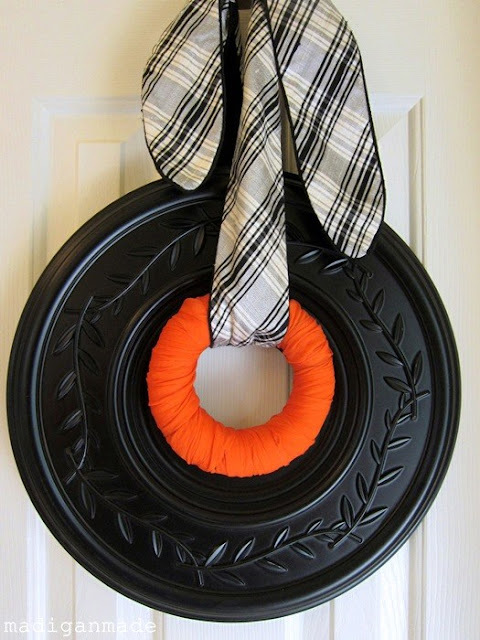 Speaking of black and orange patterns, it is no surprise that Jen created this fun chevron Halloween wreath. And the bat garland just makes it even more fun. Shannon created this simple Halloween wreath from Madigan Made and it took her like 5 minutes. And I really mean that, she said it only took her 5 minutes. And if you don't even have five minutes to make one, there are a TON of cute wreaths on Etsy you can buy. This bat in the moonlight from Itz Fitz is one of my favorites. We kick of October here in Austin by checking out the millions of bats that live under a bridge in downtown Austin. Creepy, fun, and the perfect way to start celebrating October. Although this isn't technically a wreath, it would be perfect to hang on your front door. Party Wishes hung a skeleton in a black frame to decorate her porch for Halloween. The frame is roundish, so I am going to call it a wreath. 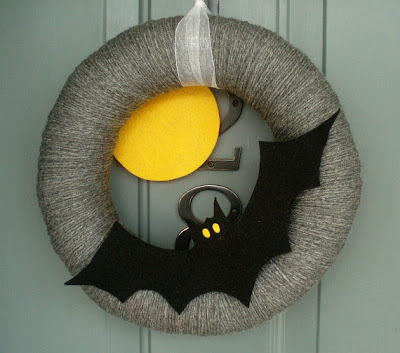 There are even more Halloween wreaths in my archives, like the sucker ghost wreath and my all time favorite even after four years) the black satin ribbon bow wreath, so make sure to take a look. This is too cute! I am trying to find easy, affordable and space saving decorations for the apartment, and a wreath is perfect. 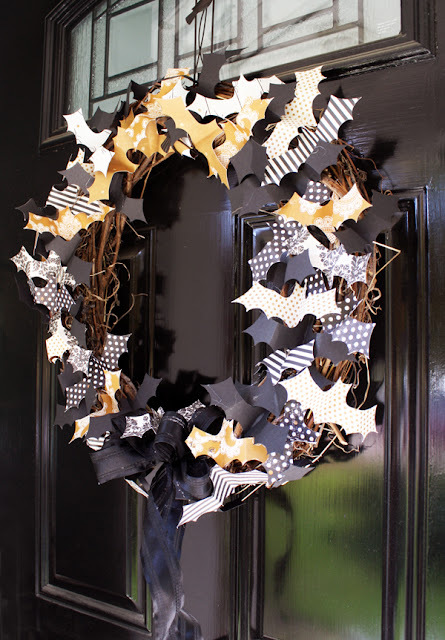 Getting some Halloween scrapbooking paper at Target with a wicker wreath is so simple!